I made this today and am, in fact, eating a warm and butter-slathered slice as I type these words. This is still my favorite bread, and it is still the #1 reason people find their way to my meager blog. 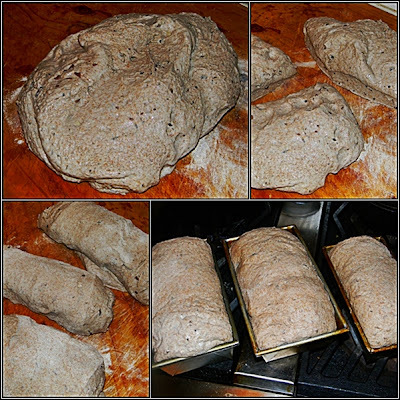 The recipe is below, but for more pictures and a brief description, click here. 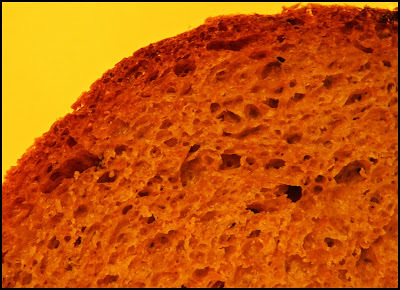 And better yet, to read my Biblical views on Ezekiel Bread (or at least my interpretation on this recipe), click here. Heh heh. Yes, indeed. I did find this blog via a google search for "Ezekiel bread recipe." :) I am intrigued and plan on trying it out after a trip to a bulk food store for barley, millet and spelt. (The items not currently in my pantry.) 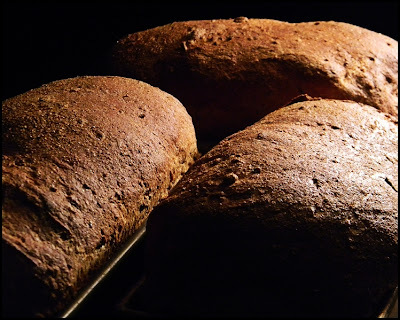 Thanks so much for posting your recipe, process and philosophy of the whole thing. I'll let you know how it turns out. Thanks for visiting Emily...let me know how the bread turns out!